Jakarta, March 20th 2014 – Since ringing in the New Year, Archipelago International have already announced three new favehotel dealings: favehotel Cendrawasih – Timika, favehotel Daan Mogot – Jakarta and favehotel Cokroaminoto – Denpasar. Archipelago International currently has 20 favehotels in its portfolio with 25 hotels scheduled to open this year. They will be opening across Indonesia with 10 in greater Jakarta, another 6 on Bali and several existing projects in Yogyakarta and Makassar as well as in Penang, Malaysia. Another 3 favehotels are scheduled to open in Jakarta during the second quarter of this year: favehotel Puri Indah, favehotel Zainul Arifin and favehotel Atang Sanjaya. There will also be the topping off ceremony in March for the upcoming favehotel Hyper Square - Bandung, which will consist of 163 rooms in two categories. It will also hold 12 meeting rooms, a coffee shop, a lobby and a business center. “The signing of the three new favehotels in this first quarter shows the level of growth that we are aiming for in 2014. We have already dramatically increased our hotel development pipeline and we plan to continue expanding the presence of Archipelago-managed hotels throughout the year and into the future.” Said Norbert Vas, Vice President Sales & Marketing Archipelago International. 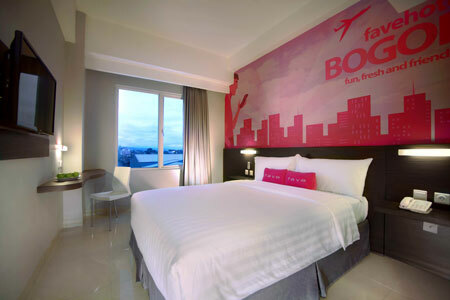 favehotels currently operates 25 hotels in Indonesia and 1 in Malaysia on the popular resort island of Langkawi, as well as a large development pipeline in Indonesia, Malaysia and the Philippines.